HRH needs to collect 2,000 new or gently used children’s books in our Books For Babies drive to provide a book to every preemie we serve at our hospital partners. Why do preemies need books while they are fighting for their lives? Premature babies face a number of challenges, including a known risk of speech and language delay. 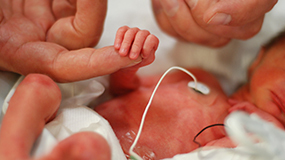 Three separate 2015 studies noted the exciting short and long-term benefits of parents reading (talking or singing) to their premature infants in the NICU. A Brown University study found that exposing preemies to more adult language in the NICU can increase their language abilities at 7 and 18 months (adjusted age), which is the building block for future reading and success in school. 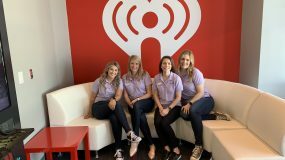 A Vanderbilt University study showed that premature babies who received an interventional therapy combining their mother’s voice and a pacifier-activated music player learn to eat more efficiently and have their feeding tubes removed sooner than other preemies, which correlated to shorter NICU stays for the babies. A Harvard University study found that the sound of a mom’s voice boosts brain growth and development in premature babies. In the NICU, people are quieter. Nurses and physicians may not interact verbally with the babies, and parents’ visiting hours may be limited. While the importance of talking to preemies is clear, it can be awkward for parents to talk to their baby (often in an enclosed isolette) in the NICU for extended periods of time. Reading a book to their babies solves this problem! 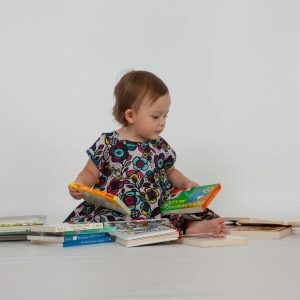 Ways you can donate to Books for Babies. St.Pete: Please make a donation since Johns Hopkins All Children’s Hospital requires new books for their NICU Napsacks. 2. Make a donation that HRH will use to purchase children’s books in bulk for our HRH babies. Every $10 donated will provide at least 1 book, Oh The Places You’ll Go by Dr. Suess is our dream book for our #NICUstrong babies. 3. Organize an HRH Books for Babies drive at your work or child’s school or classroom. Email us at [email protected] and we will be happy to send you posts to use for your social media. 4. Order books from our Amazon Wish List (you must be logged into your Amazon account to access the hyperlink). HRH will continue to collect books and donations all year long!